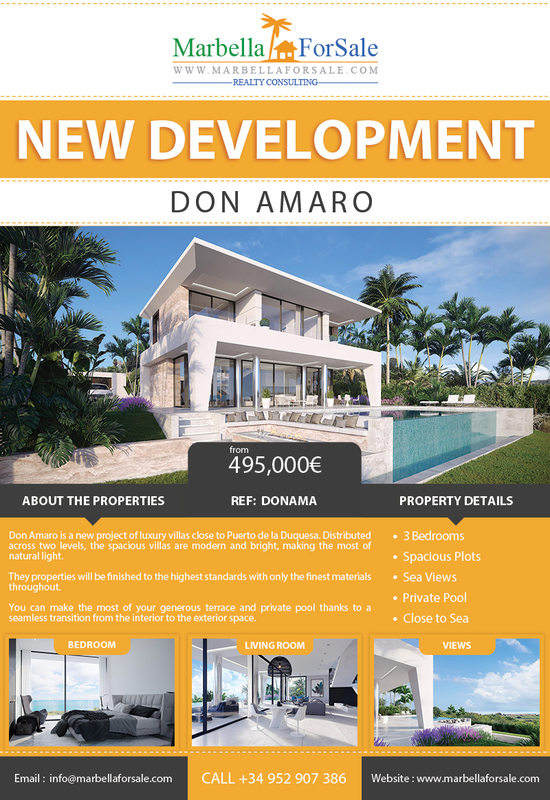 Don Amaro is a new project of luxury villas close to Puerto de la Duquesa. Distributed across two levels, the spacious villas are modern and bright, making the most of natural light. Don Amaro is a new project of luxury villas close to Puerto de la Duquesa. Distributed across two levels, the spacious villas are modern and bright. Every element of the properties from the architecture to the smallest details is designed for comfortable living in a tropical environment. The villas are designed with different living zones for day and afternoon light according to the time of day.